This is the general view… I’m wishing I’d done more random sized pages as I love the way I’m starting to see the layers build up. 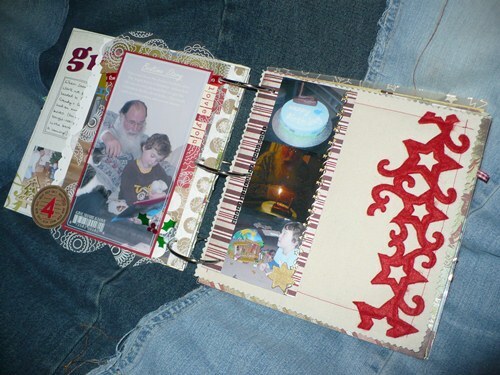 The calico page you see on the right is for tomorrow, today’s flip page is sitting on top of it. Here is a close up of the top. 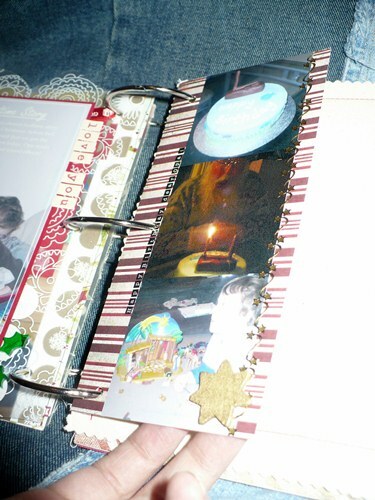 I did the journalling on photoscape it’s a free photo software download. The letters are from October Afternoon. Here is the right hand side flip. The photo is a bit reflection-ey, sorry about that! 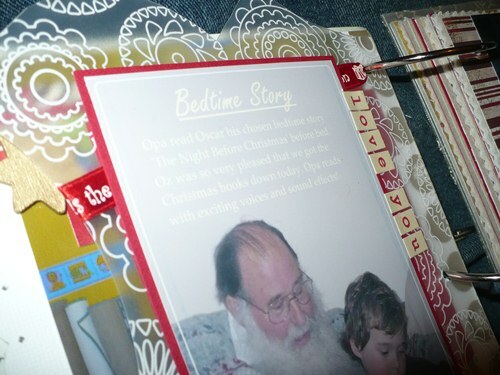 There are teeny tiny stickers that say ‘Happy Birthday dear Opa!’ The gold border is peel offs (from the border of the Happy Christmas stickers we’re using for our cards). There’s a wooden star there too. It’s a Christmas Market find from a few years ago. I have loads of them… I expect you’ll see them again before the month is out! 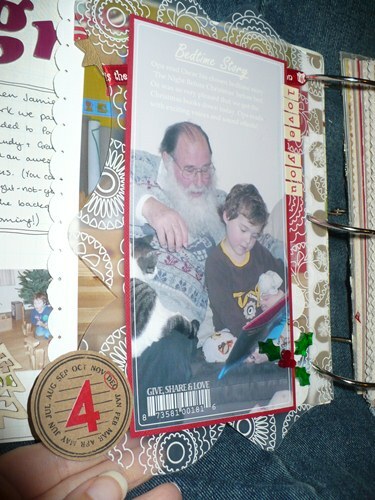 on December 5, 2011 at 9:36 pm | Reply ErinK. LOVE your pages. Thanks for sharing!